Three members of the Philadelphia Eagles refused to take the field in protest, during the playing of the national anthem at Thursday’s preseason game. 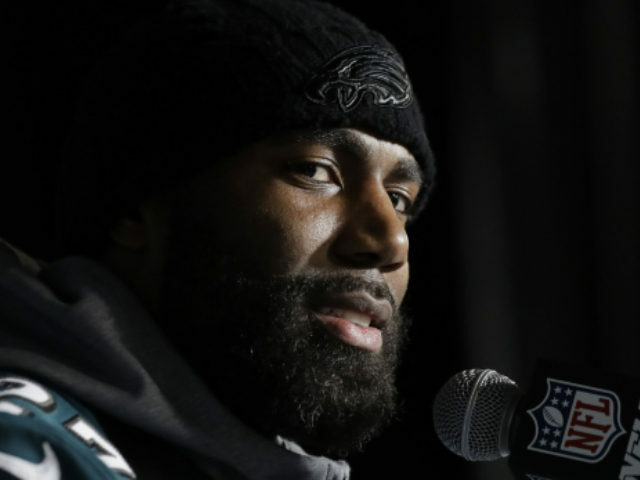 Eagles safety Malcolm Jenkins and cornerback De’Vante Bausby continued their protests from last season by refusing to take the field ahead of their game against the New England Patriots. The pair took the field after the song concluded, according to NBC Sports. A third player, defensive end Michael Bennett, also took the field late after apparently staying in the locker room instead of coming out during the national anthem. Bennett was a persistent protester during the anthem during the 2017 season. It is the second time that Jenkins and Bausby have mounted some sort of protest during the anthem in the preseason. Both raised a fist during the song in last week’s game. The NFL and the players seem no closer to agreeing on a policy to govern the protests after the league launched an aborted attempt to put in place a rule that would require players to stand for the song. Last week, National Football League Players Association Executive Director DeMaurice Smith said that the players were committed to continuing the negotiations even if talks went past the official start of the 2018 pro football season.